Do You Have Portland Auto Repair Questions? 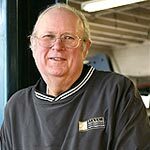 Steve Johnson, the owner of Steve' Automotive in Portland Oregon, is ready to answer your Portland car repair questions. If you have a question, simply send it in an email to Steve. When he is not providing top-notch Portland auto service, he will answer your questions and maybe post the questions and answers online. Whether it is how to find the right Portland auto part or whether or not high performance diesel is the right choice for you, Steve will answer your Portland Auto Repair Questions!